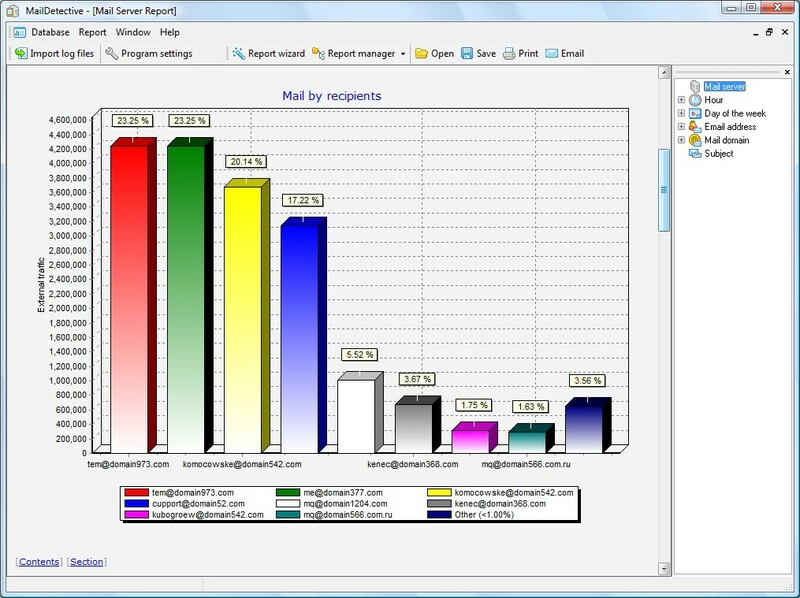 ADVSoft Exchange Log Analyzer is an efficient solution for monitoring email usage in any kind of corporation to help make sure that employees are using your company's resources as they are meant to be used. Administrators can monitor exchange log files in Microsoft Exchange Server environments. Exchange Log Analyzer is a complete solution to minimize the problem of employees spending time and company resources sending non work-related emails. ...... Companies end up spending millions of dollars every year on lost bandwidth due to employees misusing company resources and an exchange log analyzer can be used to finally deal with a significant part of that problem. No longer will employees be able to undermine corporate discipline and rules and go unnoticed doing so. With a mail monitoring program, you can help to increase the productivity of your company. ADVSoft Exchange Log Analyzer works by analyzing the server log files. Administrators will be automatically sent a set of detailed reports including information on business-related and private emails sent to and from the company network. Qweas is providing links to ADVSoft Exchange Log Analyzer 1.0 as a courtesy, and makes no representations regarding ADVSoft Exchange Log Analyzer or any other applications or any information related thereto. Any questions, complaints or claims regarding this application ADVSoft Exchange Log Analyzer 1.0 must be directed to the appropriate software vendor. You may click the publisher link of ADVSoft Exchange Log Analyzer on the top of this page to get more details about the vendor.